During the 1970s and 1980s, Chwast designed posters, ads, and supporting materials for several “Mobil Showcase” television programs. 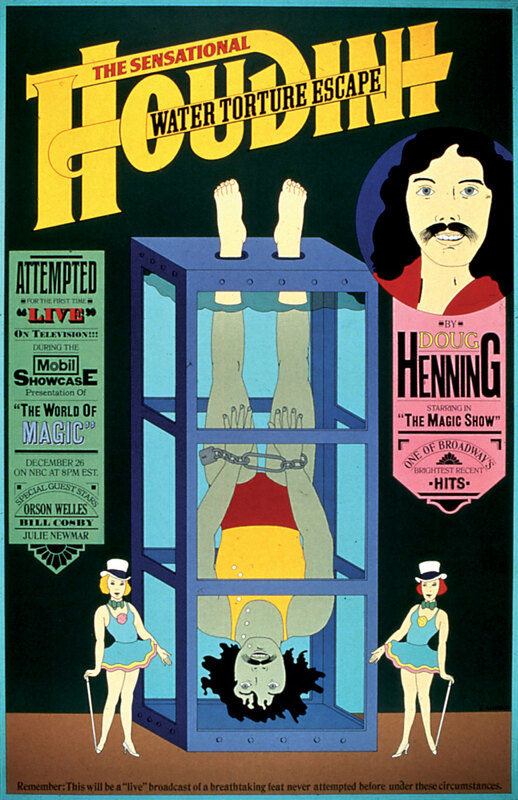 After the success of The Magic Show, which ran for over four years on Broadway, magician Doug Henning agreed to recreate Houdini’s water torture escape on live television. The typography and design of the poster referenced the Victorian era. Art direction by Gordon Bowman.